Do you have what it takes to join the bold ranks of Freeside? 1 How do I join Freeside? 3 What happens after I join? 4 How much is membership? How do I join Freeside? So you want to be a member of Freeside Atlanta, eh? Awesome! Feel free to drop in to our open house meetings every Second and Fourth Tuesdays at 7:30p (See Meetup.com calendar to confirm the schedule) to meet some folks and see what we've got going on. If you like what you see, and there's a project or class you're interested in, then start showing up to the project meetings or register for classes. Request a member to be your mentor. A mentor is a member that will introduce you to all things Freeside: where things are, how things work, our policies and rules, and help answer your questions. The easiest way to get a mentor is to come to one of our public events and locate a member with similar interests. Submit your introduction to your mentor. The introduction is made up of your answers to a few questions that tells us about yourself, your projects, and interests. We then post your introduction to our member's mailing list, which helps connect you to more members. Include a few photos of yourself (preferably at least 1 at Freeside) and some of your past and current projects. Some of our members are better with faces than names, and everyone likes to see what you've been working on! You'll then be sent a welcome packet by the Secretary about how to get started with your new Freeside membership! Your welcome packet includes an overview of member benefits and rights, links to our policies, and instructions for activating your 24/7 access card. You will get all of the cool stuff that comes with being a member - check out the Benefits! Quick re-cap: get a mentor, email in your introduction, and get your welcome packet! Send these questions to your mentor after you find them and decide to join. 5. How did you find/get interested in the space? 6.What classes would you be interested in seeing at the space? What might you be willing to teach? 7. 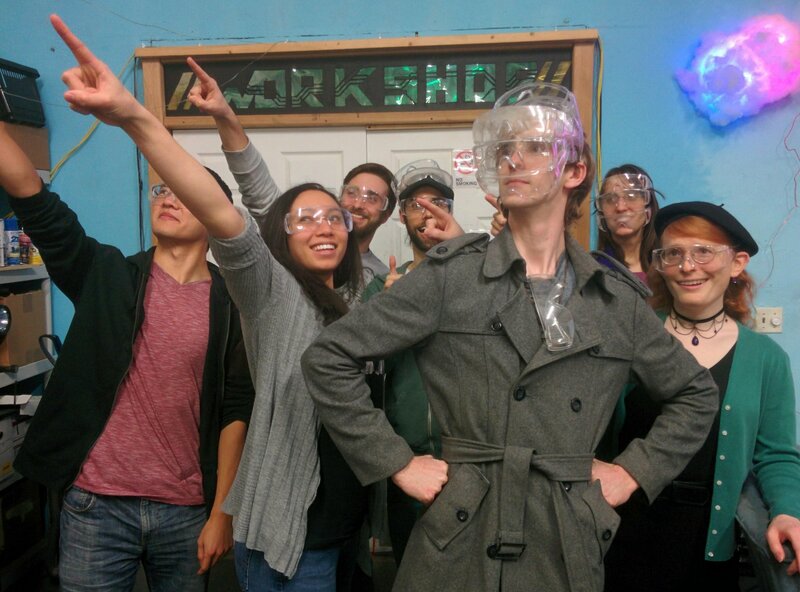 What does the term 'hackerspace' mean to you? Proceed to pay your dues, or get with the Treasurer to set up your first payment. Sign the waiver! Remember, the only limit is yourself! Familiarize yourself with our Policies. IT will set you up with your key card, which gives you 24/7 access to the space. Freeside members pay one of two dues amounts for their membership - If you meet the program requirements (typically, being a student or unemployed), you pay the Starving Hacker Program rate of $40 per month. Otherwise, Freeside membership is $80 per month. $80 per month is pretty close to what you would have to save over two years to get your own Makerbot Replicator 2 or Lulzbot Taz 3D printer. For your Freeside dues, you get access to several 3D printers, a community of people to work with on them, as well as access to a laser cutter, wood shop, machine shop, electronics lab, HAM radio shack, craft room, media lab, auditorium, classroom, and more! Anywhoozle, you don't have to be a member to take classes, hang out at our events, and get involved. Come out for that and see if building, growing, and developing this space and community is something that you're interested in! This page was last modified on 1 July 2016, at 12:24.